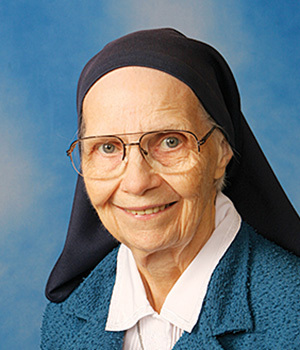 Word has been received of the death of Sister M. Julien (Wilke), CSC, who died at 1:40 a.m. on October 6, 2018, in Saint Mary’s Convent, Notre Dame, Indiana. She entered the Sisters of the Holy Cross from Chicago, Illinois. 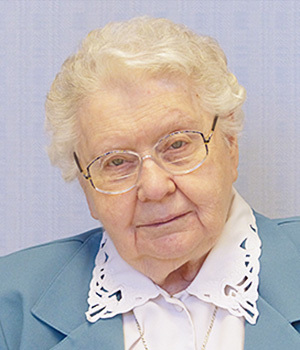 Her initial profession of vows was made on August 15, 1938. 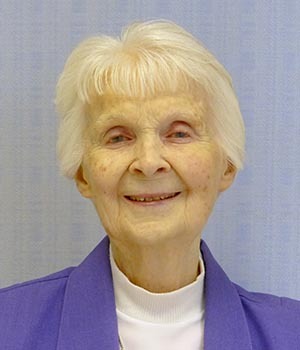 Sister Julien was an accomplished pianist, organist, music educator and pastoral musician. She hit the high note of her music ministry as director of Liturgy at the Church of Our Lady of Loretto, Notre Dame, Indiana, 1971-1983. She composed the “Mass in Honor of Our Lady of Loretto” in 1975, hoping that her opus would be used in churches far beyond the motherhouse. The funeral service will be held under the cupola of Loretto, its interior walls adorned with mosaic panels dedicated to Our Lady. 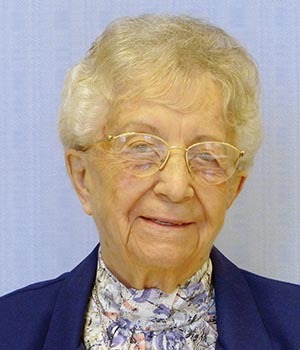 Marie Alphonsa Wilke, daughter of Dutch-born parents Cornelius Wilke and Johanna Van Helden, called herself “a child of Mary” when applying to enter the Sisters of the Holy Cross in 1935. Her pastor, however, designated her as “good timber for any community she may wish to join.” As the youngest of 14 children, she had to be strong. At the time Marie entered the Congregation, there were only six living children. Her mother was 53 and a widow. Marie’s father had died four years earlier. Marie fretted about possibly being turned away on her entrance date, September 8, 1935, unable to pay her expenses until their family home was sold. An older sibling by 17 years, Sister M. Alphonso (Cornelia Wilke), was already a professed Sister of the Holy Cross (died 1983). Marie did enter the Congregation. 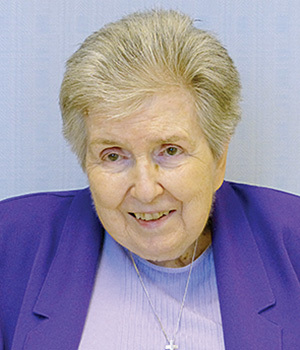 As Sister Julien, she became the ever-present music teacher in several Midwest Catholic elementary and secondary schools from 1938 to 1971. 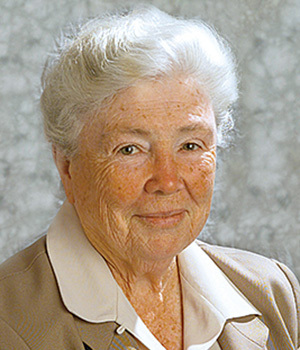 Alumnae of St. Mary’s Academy, South Bend, Indiana, may remember their school song that she arranged in 1953. Sister Julien wrote a high school musical and staged it to earn her Master of Music Education from the University of Notre Dame in 1964, adding to her 1956 Bachelor of Music from the same university. 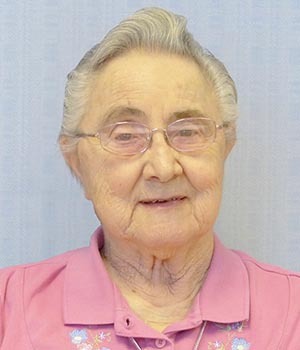 In later years, Sister Julien found it easier to work with adults than with children and youth who were not as self-disciplined or gifted as she. 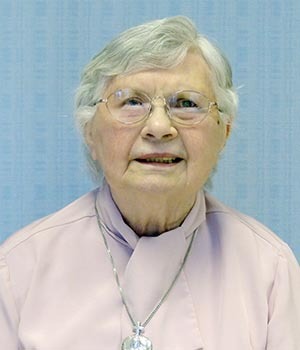 Sister Julien ministered 1985-1996 at Our Lady of Holy Cross Convent, South Bend, and then was assigned to Saint Mary’s College as sacristan and campus minister until 2003. Sister then lived at Saint Mary’s Convent offering her service to the community as her health allowed. Sister Julien’s legacy may be her “Song of the Virgin Mary.” In 1979, Sister composed several renditions of the biblical canticle, now known affectionately as “Sister Julien’s Magnificat.” The canticle traditionally closes the vespers service. “Rejoice, my soul, give glory to the Lord, my being finds its joy in God my savior. He looked with love upon my littleness, and from all ages people call me blessed.” The melody is haunting, expressing beautifully the closing of the day in gratitude. 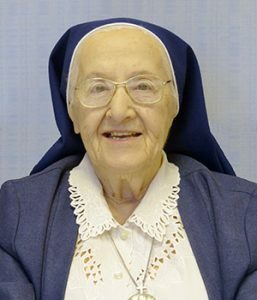 “He who is God, the Lord, the Holy One, has wrought in me the wonders of his mercy.” Sister Julien died as the oldest sister in the Congregation according to religious rank, no longer Mary’s child, but a woman who had experienced 100 years of God’s mercy. I remember Sister M. Julien Wilke well from Holy Redeemer Catholic School in (Burton) Flint, MI. She added a new dimension in Music for students in 1970-1971. Holy Redeemer was so blessed to have the Sister of the Holy Cross present as educators for many decades. May she now reap all the benefits of eternal life.